The film adaptation of "The Boys in the Band"
On the occasion of Pride in NYC this week, Steve Hayes' popular web series Tired Old Queen at the Movies deconstructs the film adaptation of the Broadway play, The Boys in the Band. 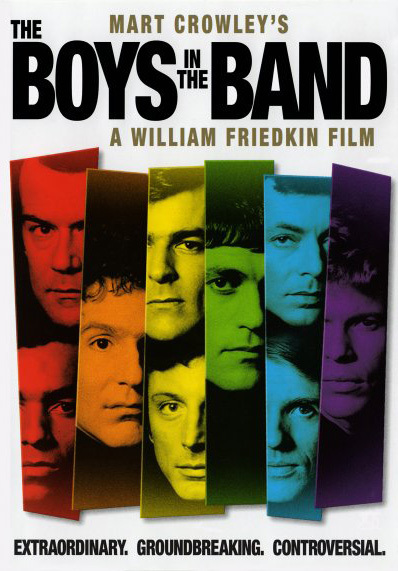 From Hayes: "Mart Crowley’s iconic play about the lives of several gay men in the 1970’s comes alive in William Friedkin’s THE BOYS IN THE BAND (1970). Featuring the brilliant original Broadway cast, its alternately hysterical, funny, sensitive, touching, at times lacerating and ultimately unforgettable." With all the attention being paid to the current all-star, all-gay Broadway revival of the play, its interesting to see the actors from the original production bring their roles to life on film. Watch the seven minute clip below.